ISIS Lost One Of Its Key Remaining Strongpoints West Of Daraa (Photos) 5.2352941176471 out of 5 based on 17 ratings. 17 user reviews. On July 29, the Syrian Arab Army (SAA) and the Tiger Forces, backed by the Russian Aerospace Forces, liberated the town of Abidin in the western Daraa countryside from fighters of the ISIS-affiliated Khalid ibn al-Walid Army, according to Syrian pro-government activists. 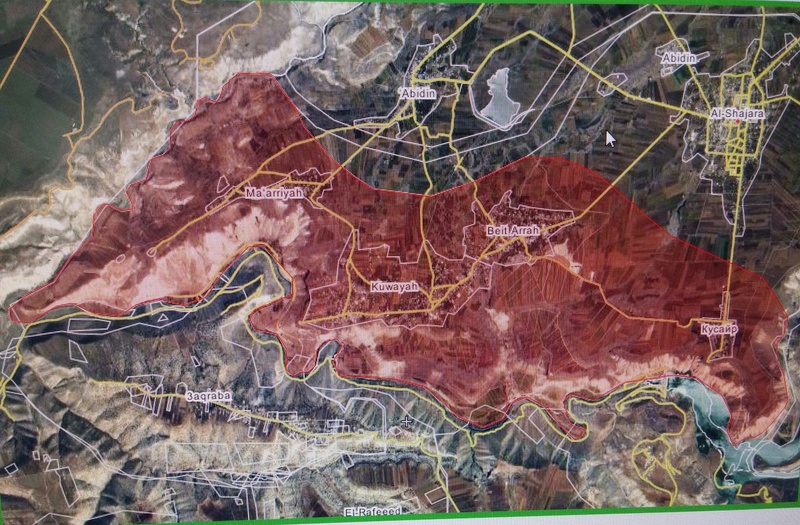 The liberated town is located only 2km north of the Syrian-Jordanian border. Earlier, the SAA and former fighters of the Free Syrian Army (FSA) launch a ground attack on the key town of al-Shajarah and captured several positions and farms around it. However, the SAA is yet to impose its control of the town. Meanwhile, the ISIS-linked news agency Amaq reported that more than 50 soldiers and officers of the SAA were killed and injured when a suicide vehicle-borne improvised explosive device (SVBIED) of the Khalid ibn al-Walid Army hit their position in western Daraa. However, a source in the 4th Division denied the terrorist group’s claims. The upcoming hours may witness the collapse of the remaining positions of the ISIS-affiliated group in western Daraa, as the SAA appears to be determined to end the battle as soon as possible. Words fail me mate, apart from bloody brilliant. That clip really made me smile. This group not willing to talk surrender yet. So I guess SAA will have to bury the whole lot. Marbah along Golan border looks like very small farming “town”. Let’s call that hights by its real name onece and for all: The Jawlan hights! 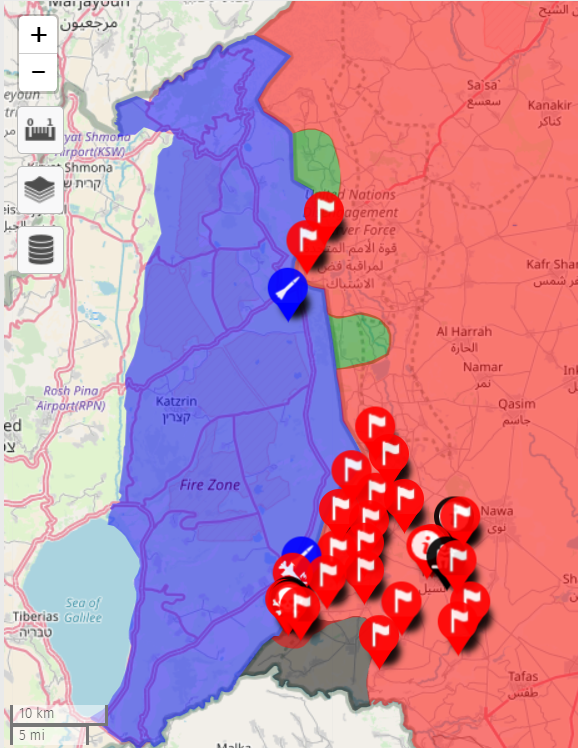 The Syrian Golan Heights, no ifs or buts. Sure, but Syrians calls it Jawalan hights. Jordan will help them they can, at the very least they’ll help them escape. but there are no roads across the canyon there. The bridges were destroyed by israel long ago. This is a great moment in history. Not yet, let us wait until full Syria land be recovered, with a strong Russia aerospace support and protection of the ground troops, this will happen fast and soon for sure. Great moment in history would be if we all that chit-chat here took ATGMS and shoot, burn fuccking Wahhabi waste. Hezbollah and Iran force returning to the front lines yet ? And Saudi Arabia will fall soon. I laughed for a few minutes when I read that . Amazing progress on the Golan front in only about a months time. The Idlib terrorists must be dreading their final stand which is soon to begin, especially when green bus rides may no longer be available, and prison cells or death may await them instead. A lot of them are probably planning not to fight, and wisely so. After the recent massacre of Isis in Daraa. many of them will probably evacuate to Turkey at the first signs of an impending SAA offensive. What do you think, those people didn’t go to Syria to get killed Lmao. evacuated to turkey from where,via israel? John was referring to RichardD ‘s comment about the terrorists in Idlib I think.